Guys, how is it 30th November already!!! 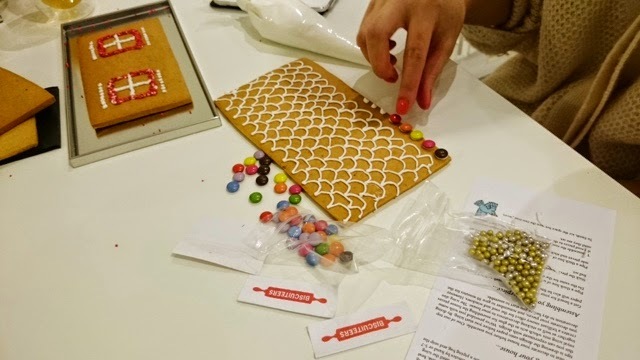 Some of you will remember my visit to the *Biscuiteers Boutique in London early November to see their Christmas collection. 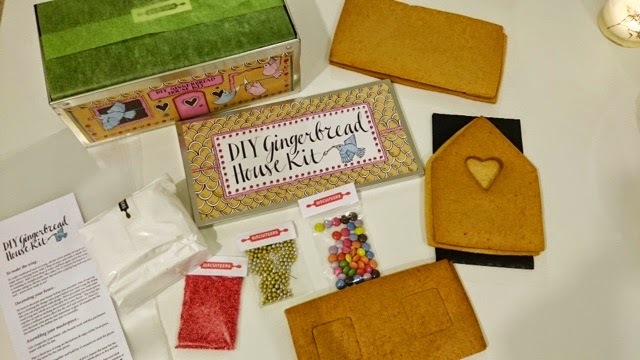 The team at Bicuiteers have very kindly sent me their DIY Gingerbread House Kit which is featured in their Christmas collection. I was super excited to receive this package and decided to spend my Saturday evening building it while watching TV! Believe it or not but I have never built one of these before so I had no idea where to start! 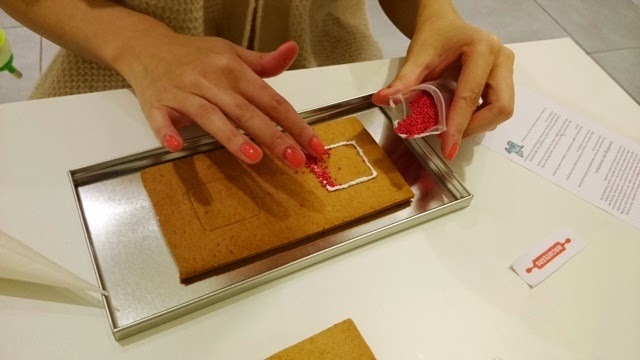 I quickly looked for Biscuiteers youtube channel and watched this step by step guide. 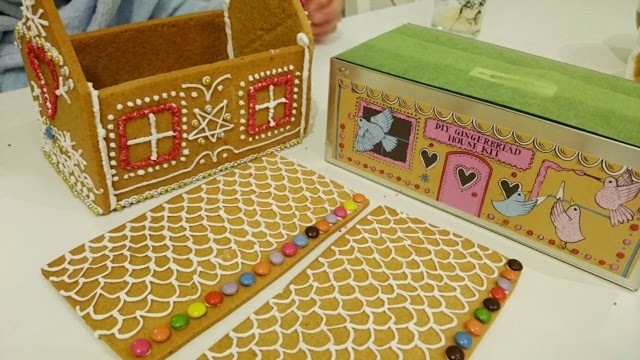 There are simple easy to follow instructions in the box but to be honest watching the video was more fun! 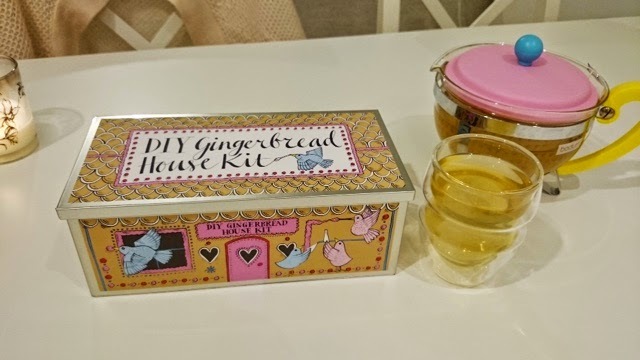 Everything you need is in this super cute box which is perfect and the box can be used as storage after. 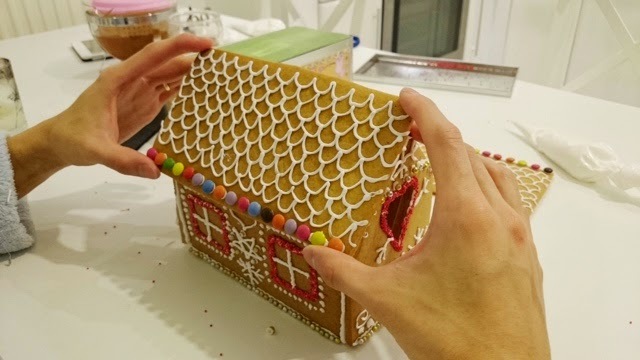 After taking everything out of the box the first thing was to make the icing. 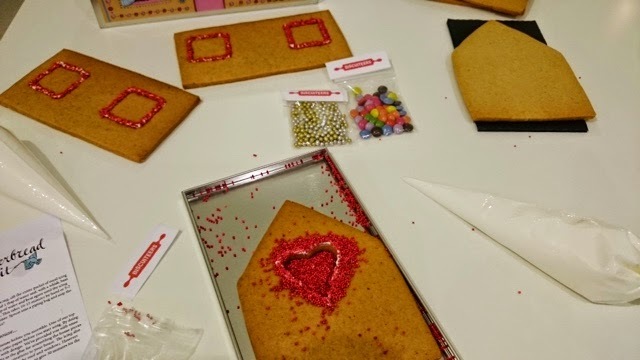 It's so important to get the icing right because if the consistency is too watery it will go everywhere or too thick and it just doesn't pipe out smoothly. 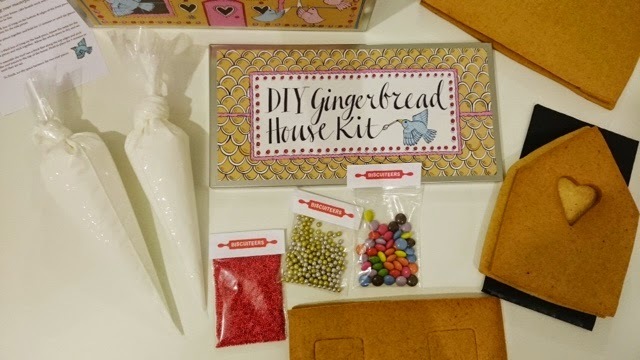 With this kit everything is prepared for you so all you need to do is add water to mix the icing, you can either mix by hand or use an electric whisk. Soon as the icing mixture is the right consistency I scooped it into the piping bag, pushed everything to the bottom and tied a knot on the end. 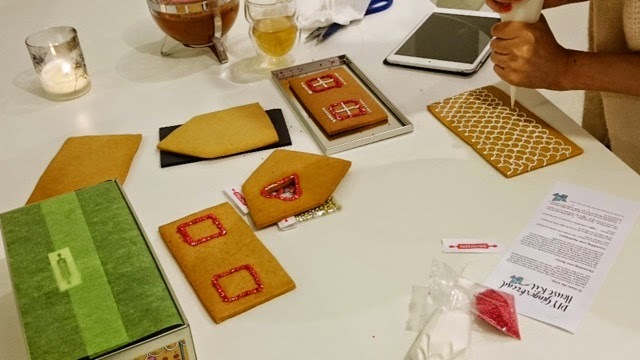 I snipped off a tiny bit to test the icing out and mainly to see how it piped out - important to just a tiny bit to begin with and if its not enough you can snip a bit more off. 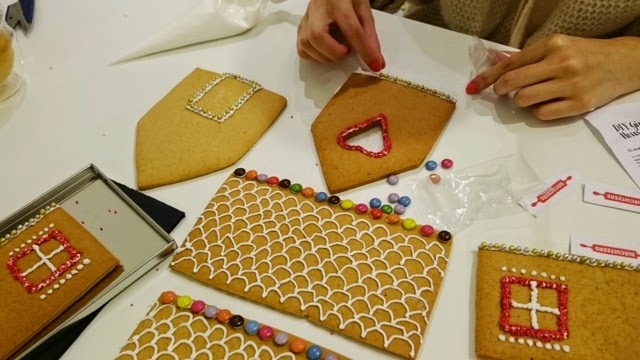 Once that's done it was time to get creative with the icing! 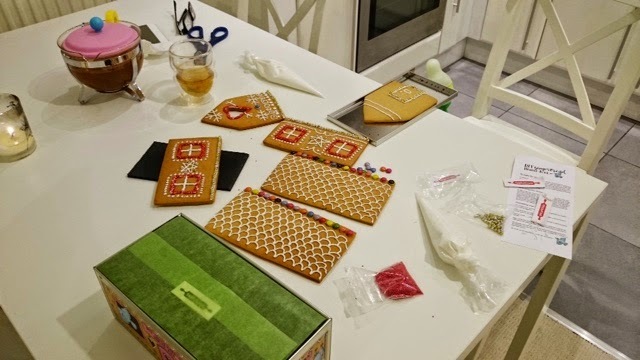 I had so much fun making this and it's a great activity with family / friends. They have a fabulous collection and everything is so pretty - see for yourself! For those who are reading outside of UK - don't worry they ship worldwide! awh this looks so fun! It was so much fun! Think next year I will buy a few and invite the girls over for the evening! I know it's super cute! Its made my lounge smell rather festive! Thanks for stopping by Caitriona. If you're interested I've got a linkup on my blog for Christmas and new year foodie posts (a different theme each month) and I'd love you to come and join in. 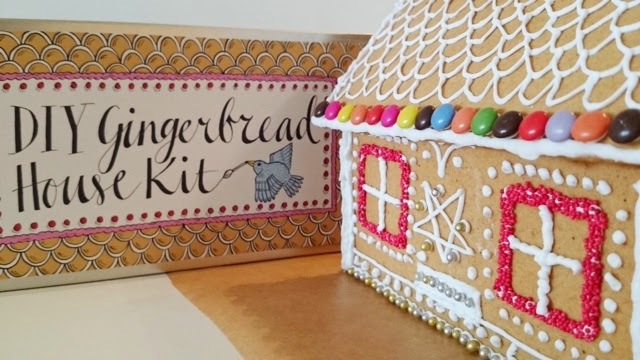 It's at http://myrecipebook.co.uk/news/fbc-whats-on-december-2014/ if you want to take a look. Thanks Charlotte! This is my first one and it was so much fun! Yes def buy 2 one for yourself and 1 for the boys! Will stop by your blog now, love anything foodie! So cute and yours is very artistic. I think I'd just end up in a mess! Thanks Lucy! It's certainly smelling rather festive right now! 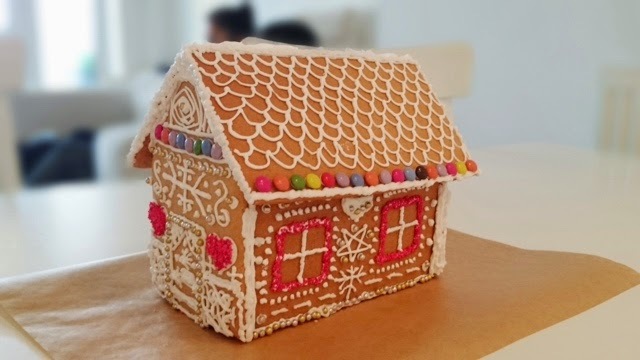 beautiful gingerbread house! i wish mine turned out this cute, i'll try again this year! hehe! Tag me in on twitter if you do one! (1sliceoflemon) Thanks for stopping by Brooke! Thanks Gem! Pretty pleased with my master piece! OMG! what an adorable house. i wanna live in it. lol. It's so cute isnt it! Hope your package arrives this week! Oh my gosh wow!! That is gorgeous! 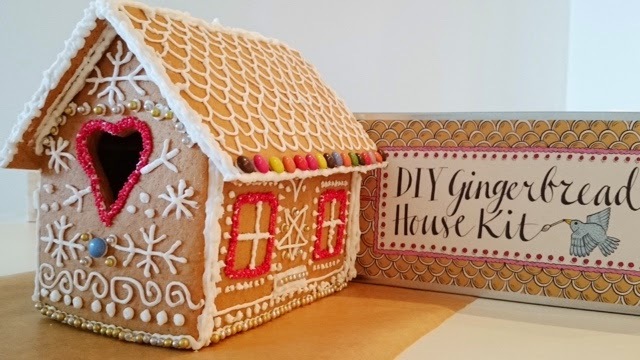 I have never made a gingerbread house myself, but now I really want to make one haha! This is my first one and it's going to be a yearly thing now! Biscuiteers so the best sets! Thanks for stopping by Amber! 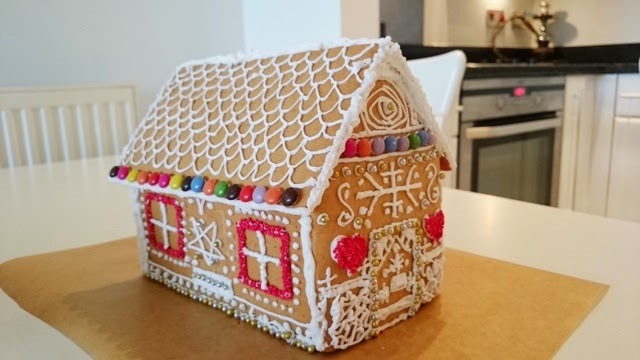 Thanks - oh dear a lot of people had trouble keeping the house together but if the icing is right it's really easy! Thanks for stopping by Lisa. Thanks for the thumbs up lovely! It was rather fun and I am going to make it a yearly thing now! How adorable does this little colorful house look!! I should try to build one myself. 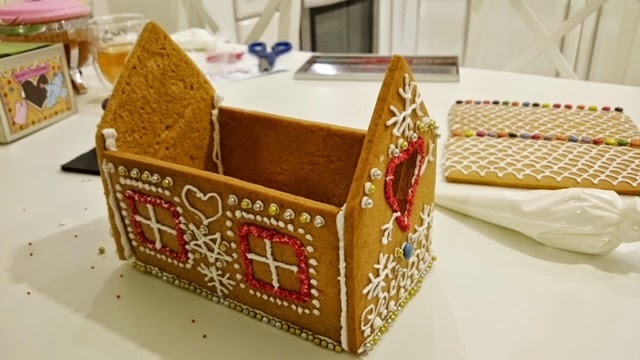 It's not particularly a tradition to make gingerbread houses here in Germany, but it's almost the same like making cookies, so why not trying it, right? !